Visitors can now reserve time on one of the tennis courts at the Olympic Park in Barra da Tijuca through a new website/app; additional Olympic Park venues will also soon be available for online booking. 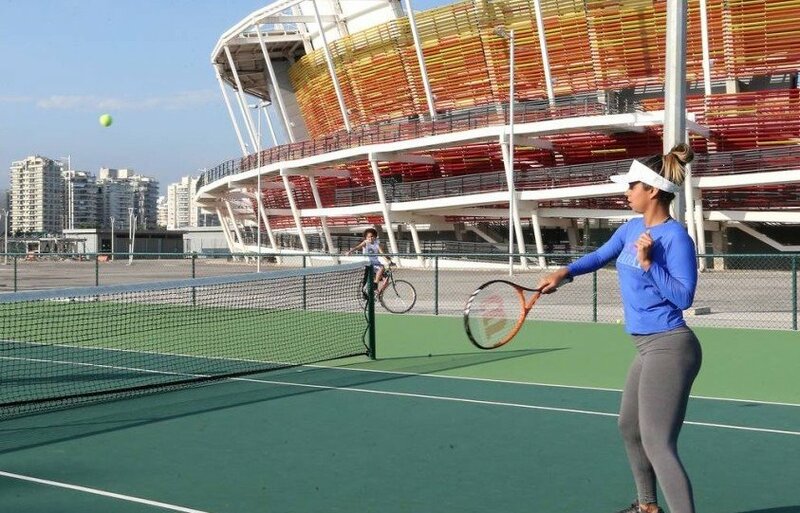 RIO DE JANEIRO, BRAZIL – Almost two years since the closing of the Rio Olympic and Paralympic Games, Olympic Park in Barra da Tijuca, is once again open to the public with park administrators making available the site’s numerous tennis courts for public use. Visitors can now reserve time on one of the tennis courts at the Olympic Park in Barra da Tijuca through a new website/app, image photo recreation. The Olympic Legacy Governance Authority (AGLO), the governing body responsible for managing many of the Rio 2016 sites, has partnered with the online sports company, Atleta.co, to create an online booking site for guests to reserve time on the tennis courts. Reservations are available between Tuesdays and Sundays and can be made on the website or through a mobile app. In addition to reserving a court, guests can schedule tennis matches against other users or a tennis trainer. The website is free and guests only need to bring their own equipment such as racquets and balls. Over two thousand users have already registered on the website since it went live in April. Officials plan to further expand the Olympic Park‘s public use to include Arena Carioca 3, which hosted fencing and taekwondo during Rio 2016; the Velodrome, which hosted the Olympic cycling events; and a new, recently built sand court. Guests will eventually also be able to use the Atleta.co website or app to book these venues for various sports activities such as beach volleyball, sand football, and cycling. Onsite parking is available at Olympic Park, but the site is also conveniently accessible by taking the BRT to the Parque Olímpico station. With a total of nine venues, the 300-acre Olympic Park in Barra da Tijuca was the largest of the Rio 2016 sites. While the site has been sporadically used since the end of the Paralympics in September 2016, it did play host to the music spectacle, Rock in Rio, in September 2017, which drew over one million spectators.